Democrats spoke on the Senate floor late into the night, one day after they staged an all-night talkathon against Education Secretary Betsy DeVos — a tactic that failed to derail her nomination but succeeded in highlighting the divisiveness of her appointment and slowing the overall confirmation process. The vote of Sessions, R-Alabama, was critical to DeVos' confirmation, meaning he could not be confirmed until after her. Unlike DeVos, Sessions faces no Republican opposition, but Democrats are largely united in fighting his nomination. A procedural vote necessary to consider Sessions' nomination got the support of only 52 senators, with Sessions voting "present." The only Democrat to support it was Joe Manchin of West Virginia. 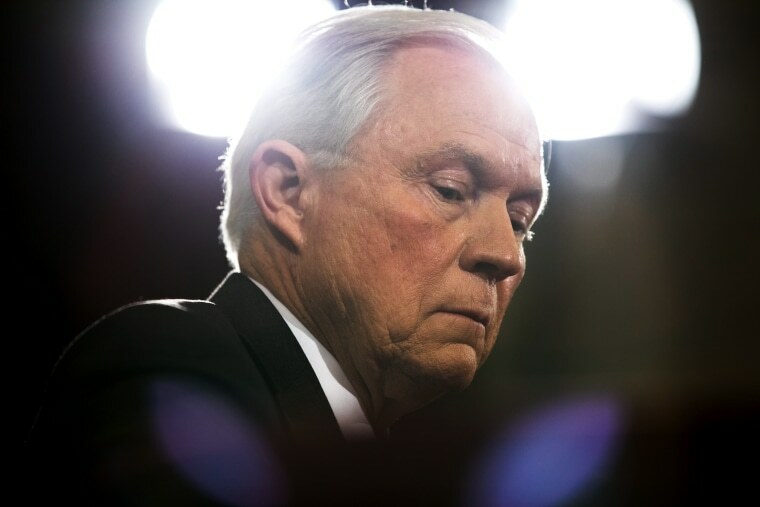 "I do not have confidence that Sessions can fairly and independently safeguard the freedoms" provided in the United States, Dianne Feinstein of California, the top Democrat on the Senate Judiciary Committee, said on the Senate floor Tuesday. Senate Republicans, growing frustrated by the delay tactics, have said the Democrats need to accept that Trump is president. "This level of obstruction at the beginning of an administration is really record setting in a very unfortunate way. It's really time for our friends on the other side to get over the election, let this administration get up and get running," said Senate Majority Leader Mitch McConnell, R-Kentucky. But Democrats defended their approach. Senate Minority Leader Chuck Schumer, D-New York, said that despite DeVos' confirmation, the delay tactic is working. "When you get millions of calls and demonstrations and a nominee is exposed for being who they are, it's going to have a profound and positive effect, even if she gains office. So, we're very — we're very happy with the results, and we're going to continue them," he said. "We're going to have long debates on Sessions, and we're going to have debates on [health and human services nominee Tom] Price. These nominees are so far afield from what President-elect Trump promised, from what candidate Trump promised and even President Trump promised — defend the average person," he added.